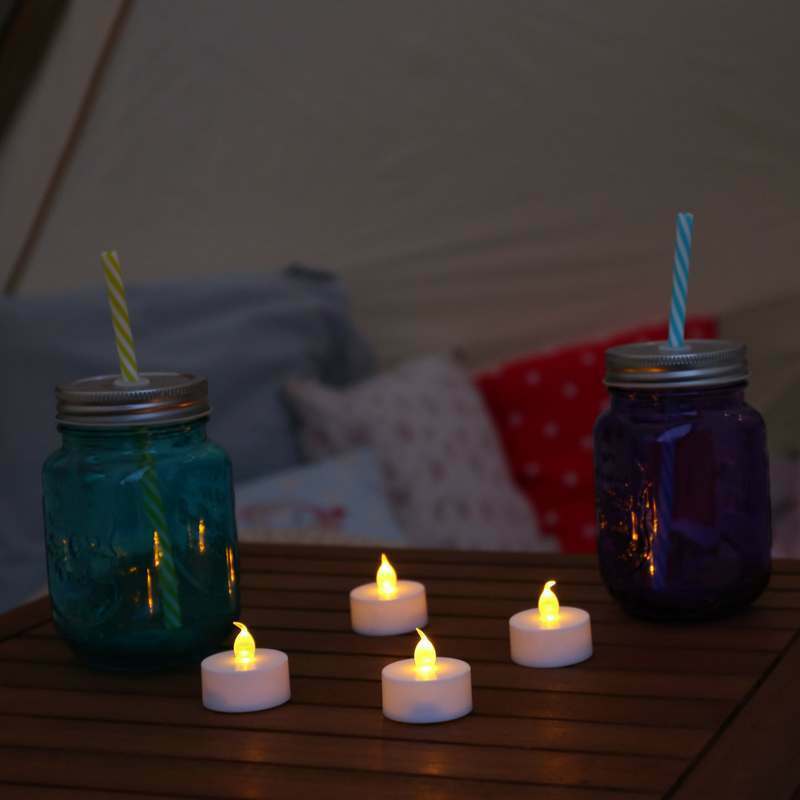 The summer holidays are almost over, but it’s time to make use of this final long weekend! 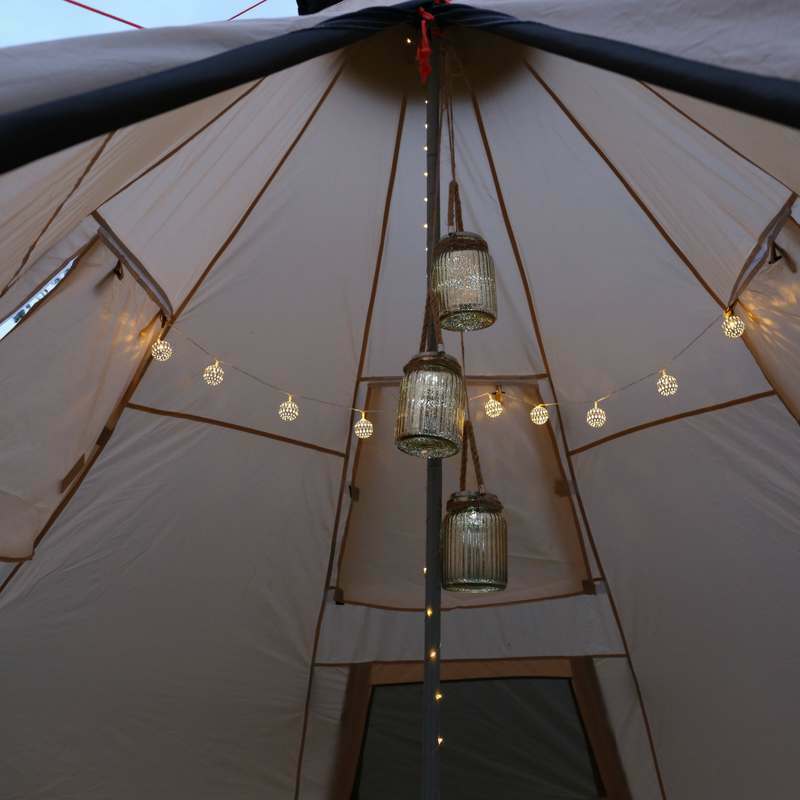 You don’t even need to travel far for this one, as the ‘stay-cation’ has once again become the new vacation. 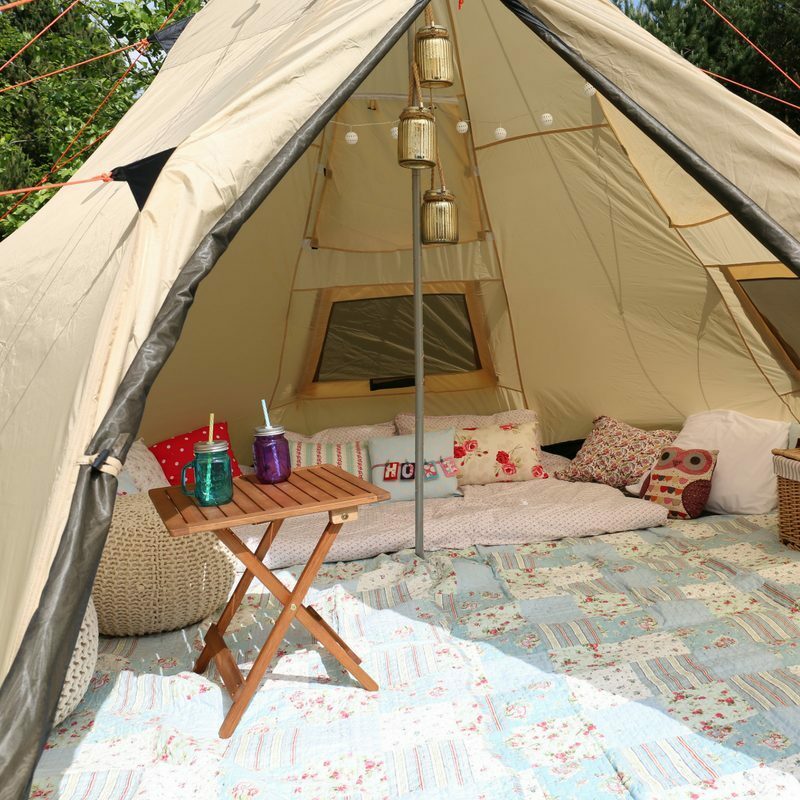 Over the last few years, stay-cations have become a lot more popular than ever before, especially with the crazy heatwave we’ve had over the last few months in the UK! 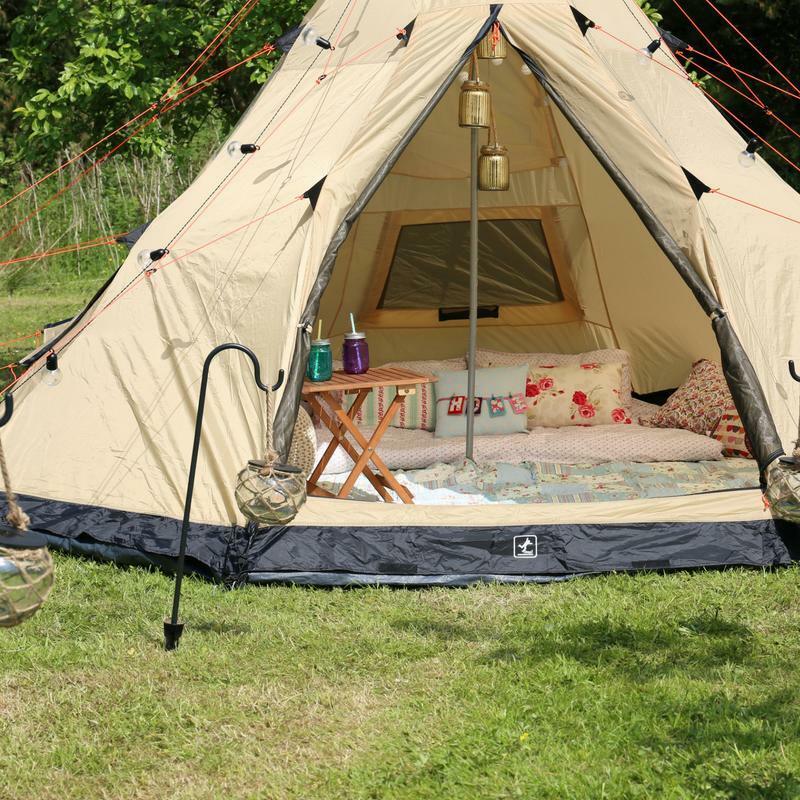 There are so many beautiful places to explore in our own country, with everything from quirky tipi camp sites to luxurious fully-heated log cabins. 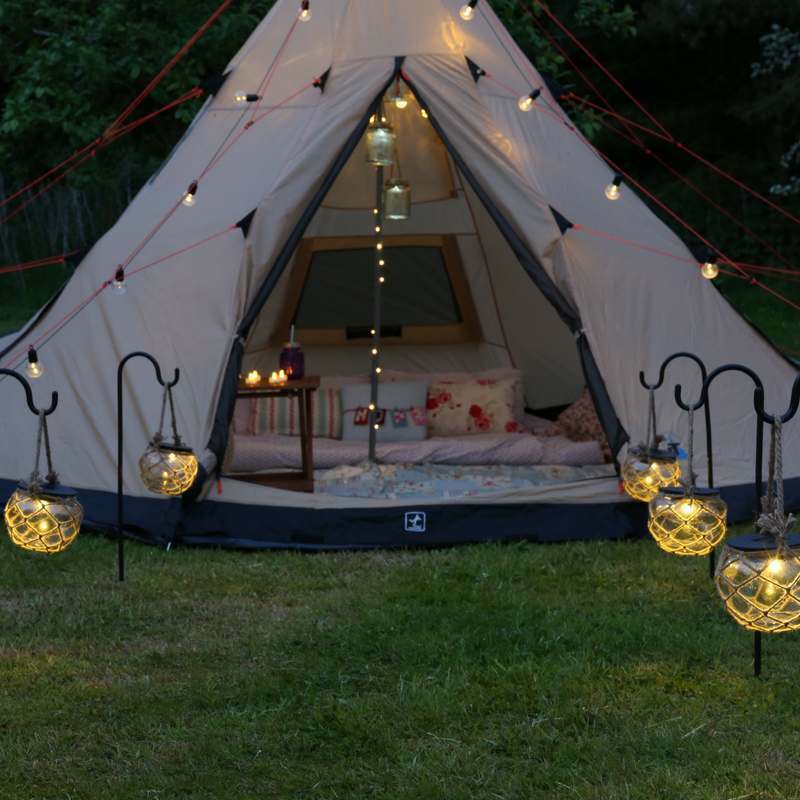 Lighting really does set the mood, alongside being great for safety and looking so pretty! 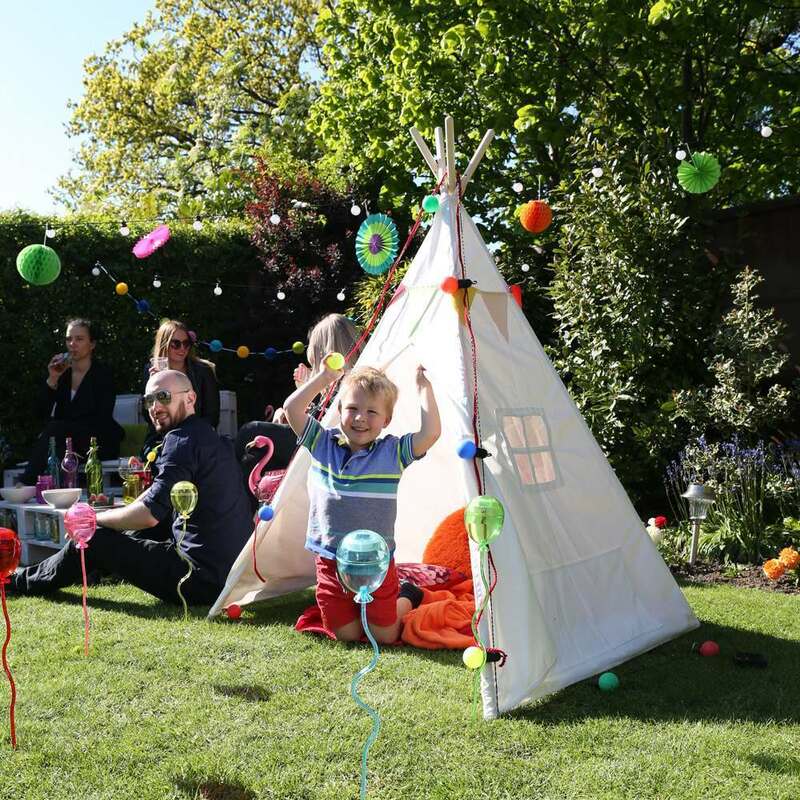 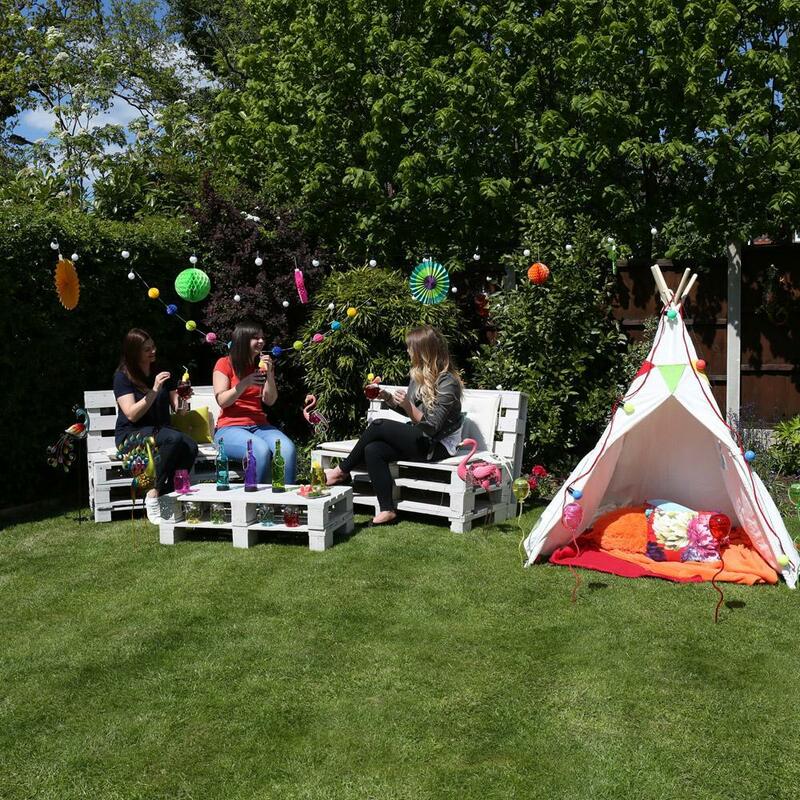 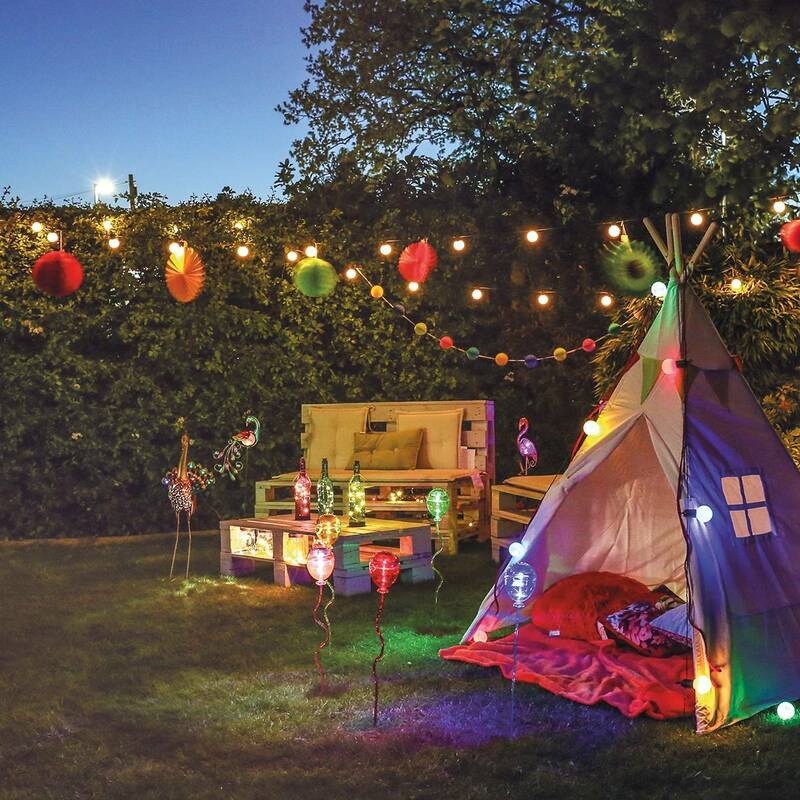 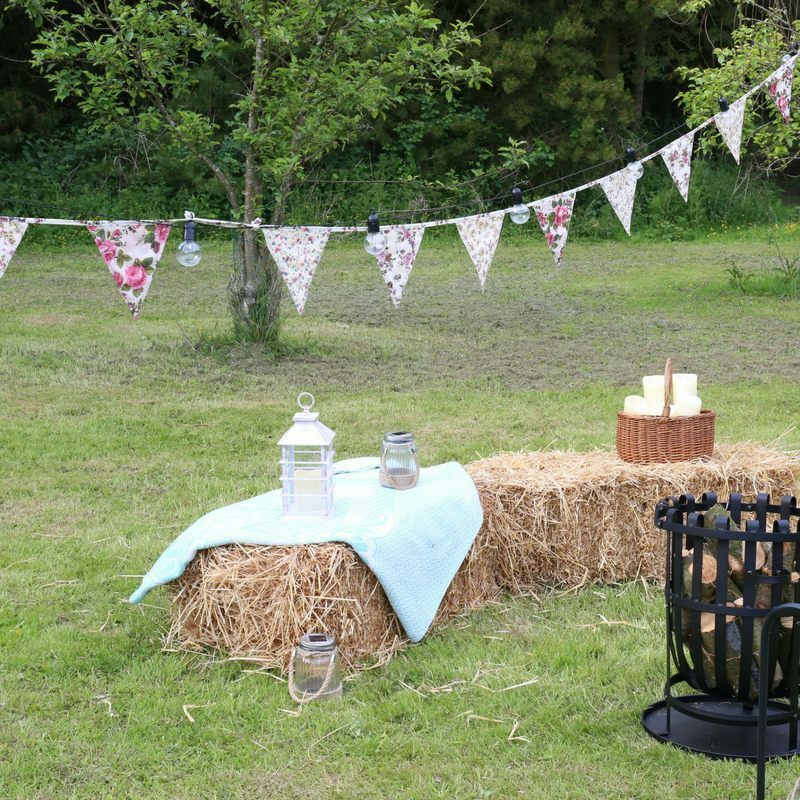 If you are setting up a garden camp stay-cation for the kids, go for a fiesta style with lots of colour and accessories. 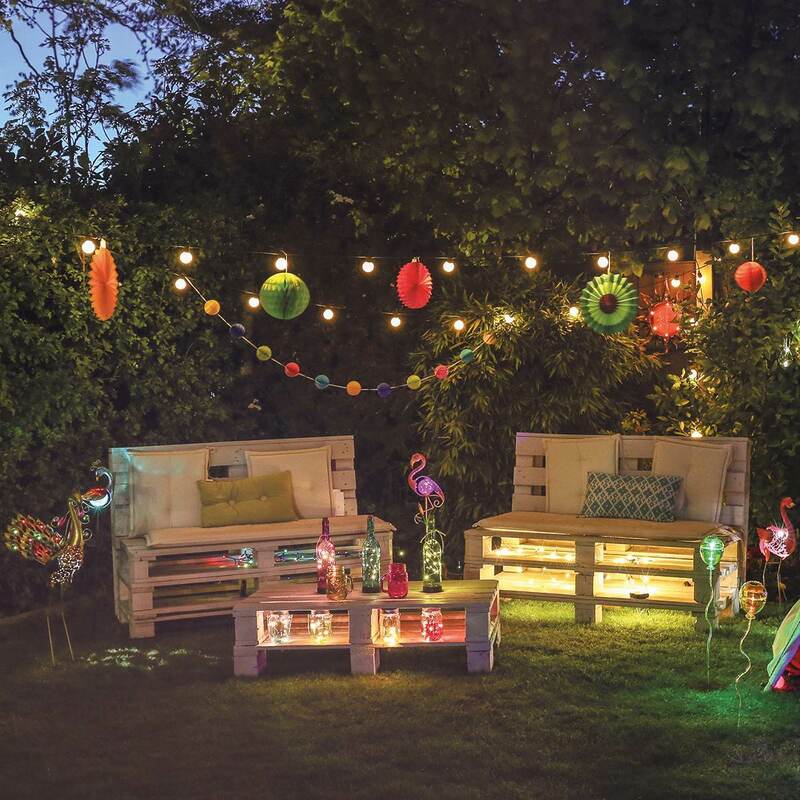 We created our fiesta with solar stake lights, an array of festoon lights and solar animals. 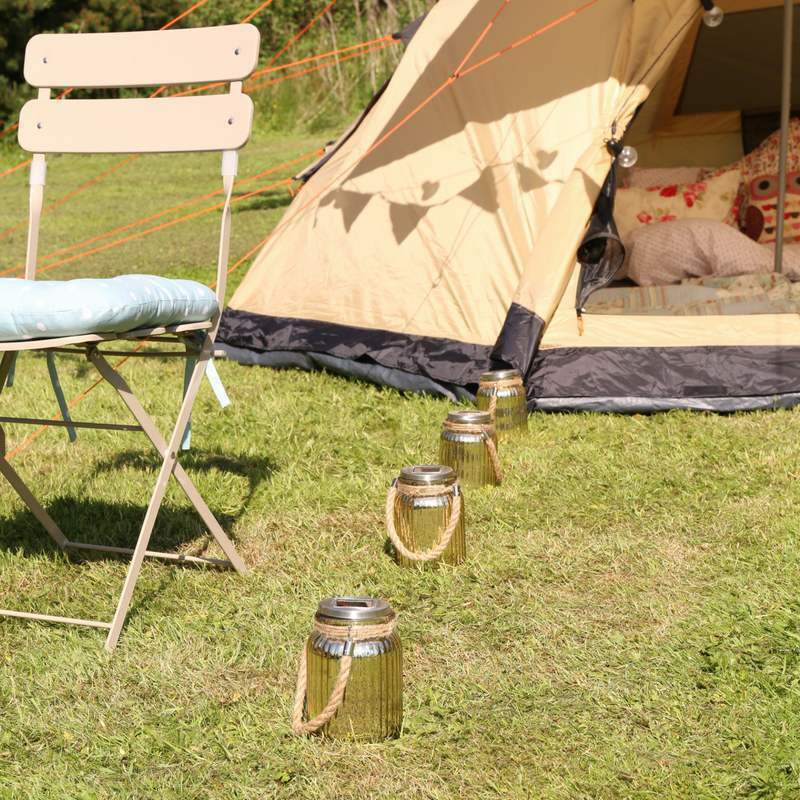 The best part of a stay-cation is that it doesn’t even need to cost you a penny, yes REALLY! 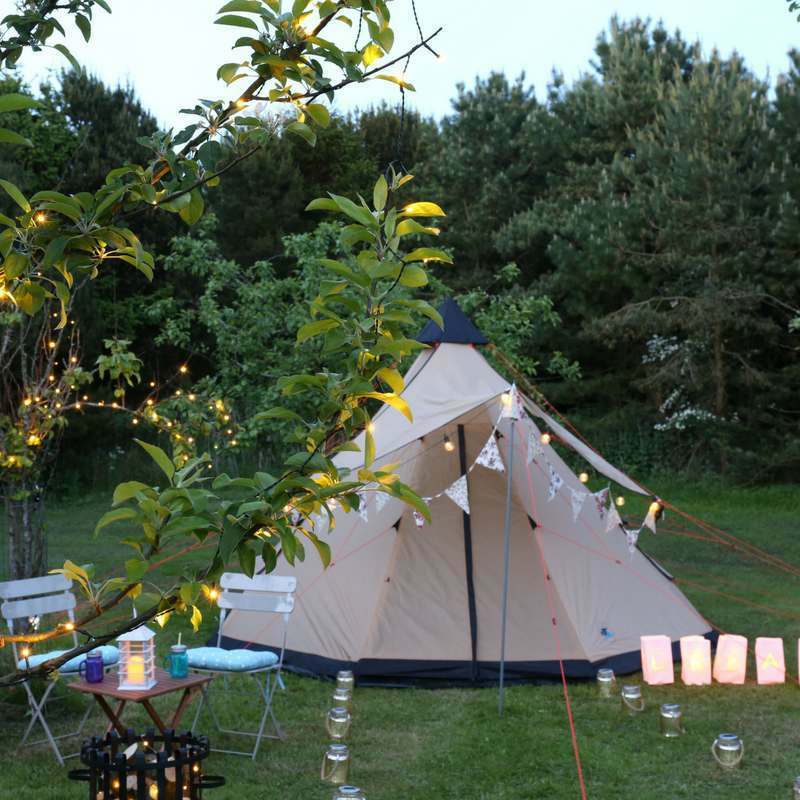 Simply pop a tent out in the garden and create your own backyard campsite. 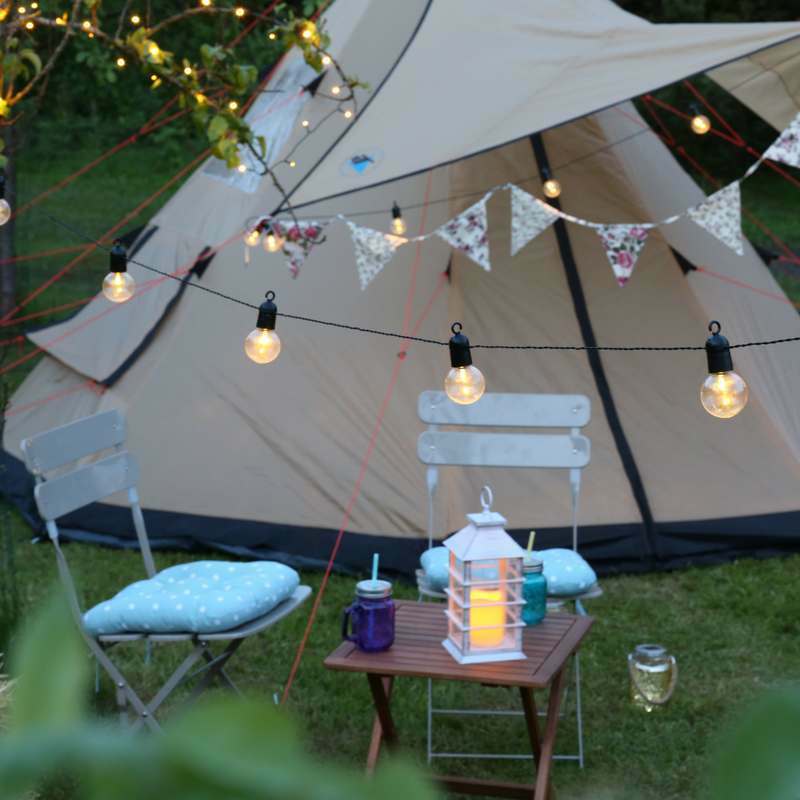 If you are staying at home, it takes away all the stress of forgetting anything, simply nip back inside and voila! 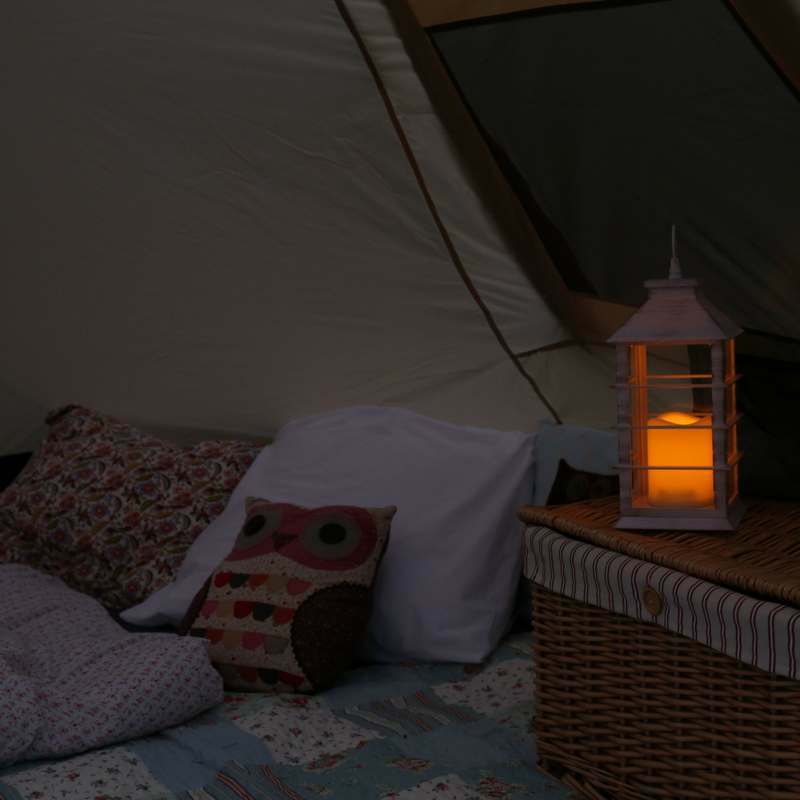 Less time spent travelling to a destination means more time to spend having fun, whilst still experiencing the great outdoors! 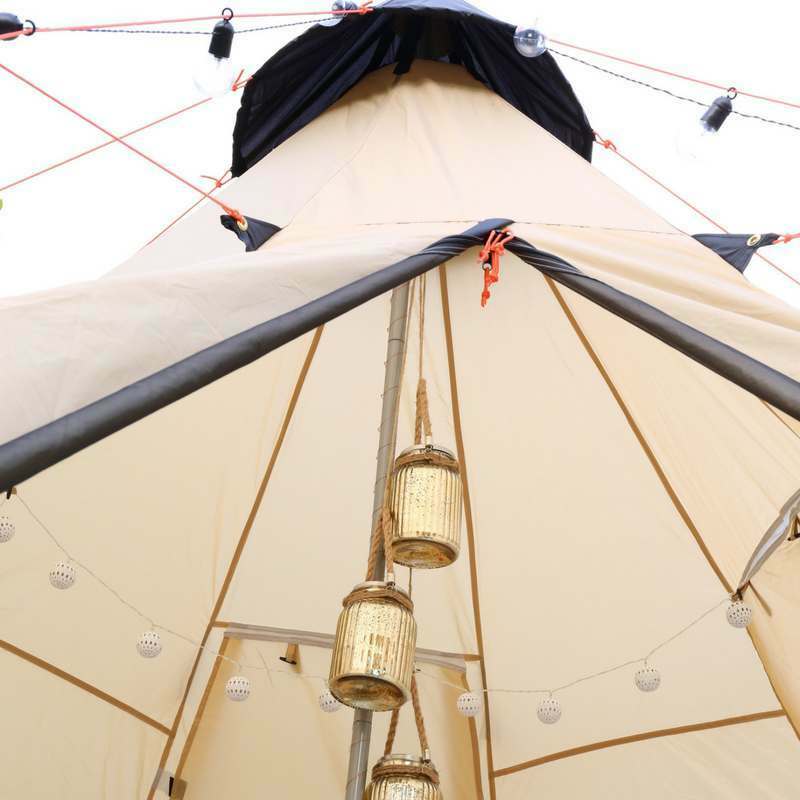 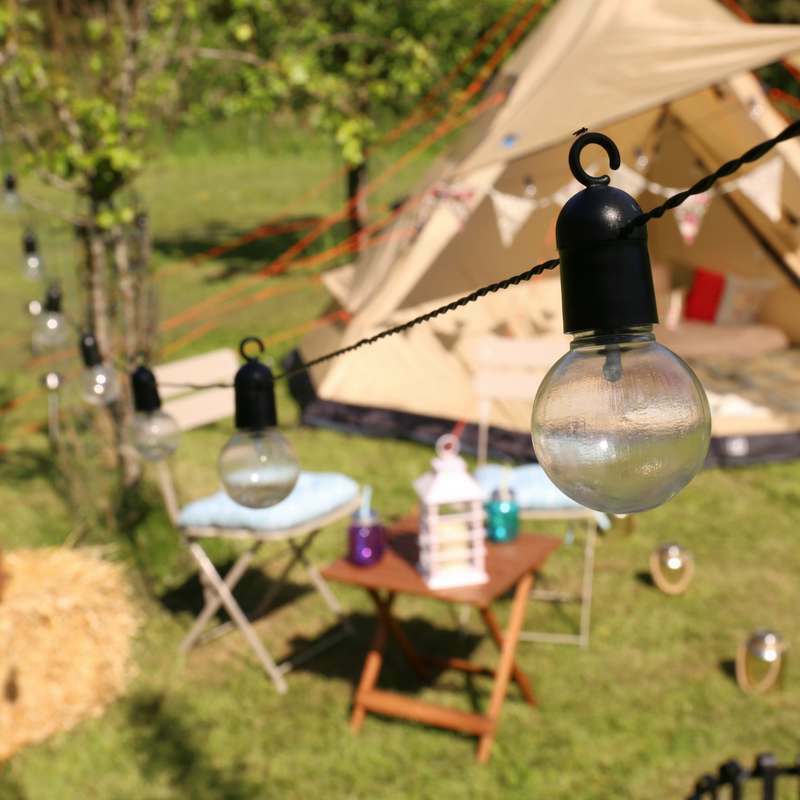 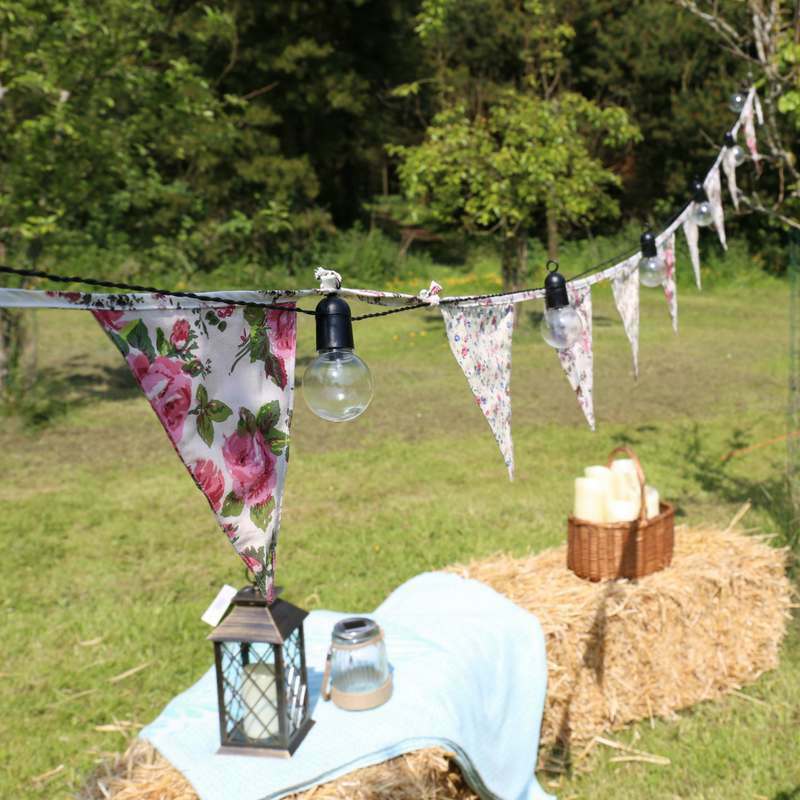 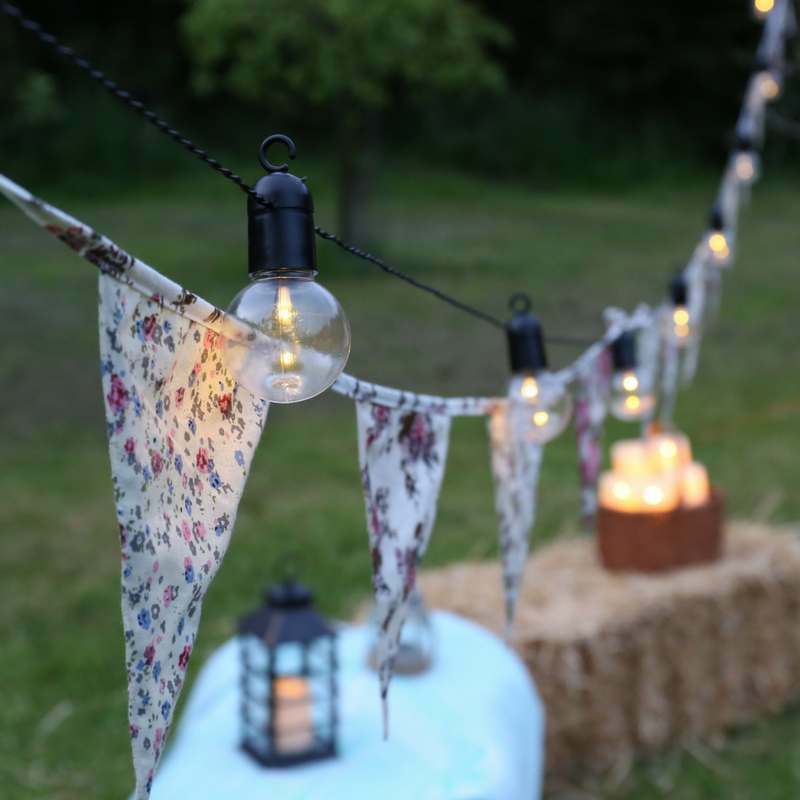 To make it more magical you could even decorate the inside of your tent with fairy lights, battery flame tea lights and cute soft furnishings! 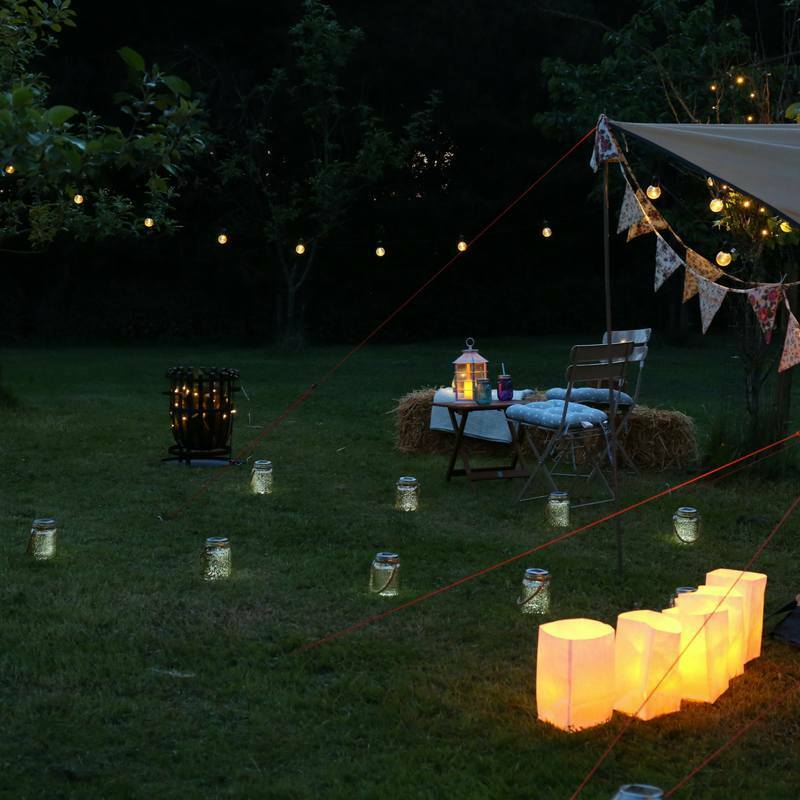 We also added an array of lanterns and hung mason jars in the centre of the tent, to sparkle and reflect the fairy lights. 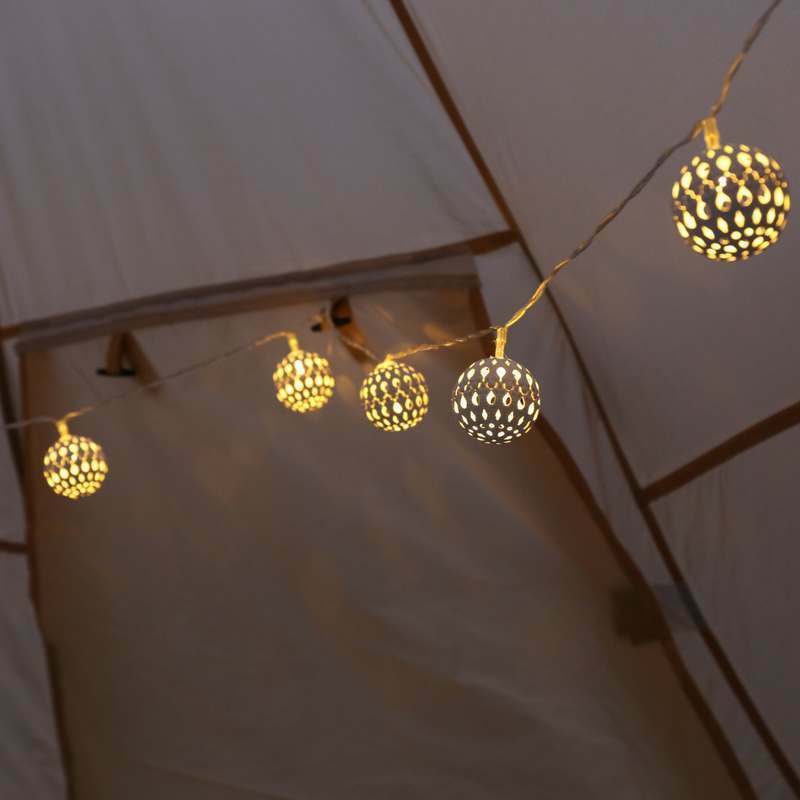 The use of lights has a safety aspect (as well as looking gorgeous! 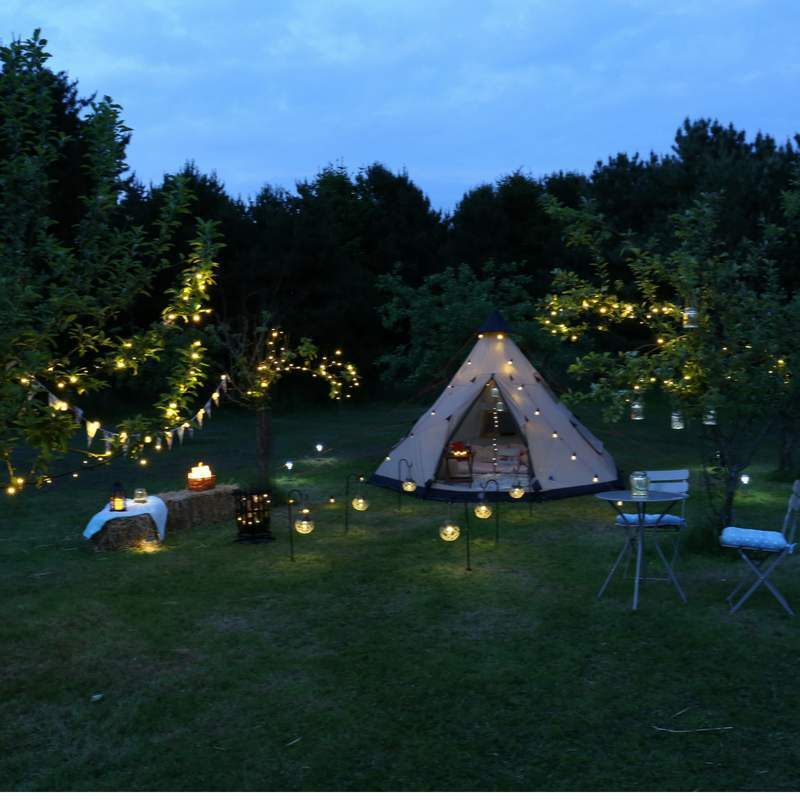 ); when the dark night closes in, they will help to keep the tent and surrounding area lit. 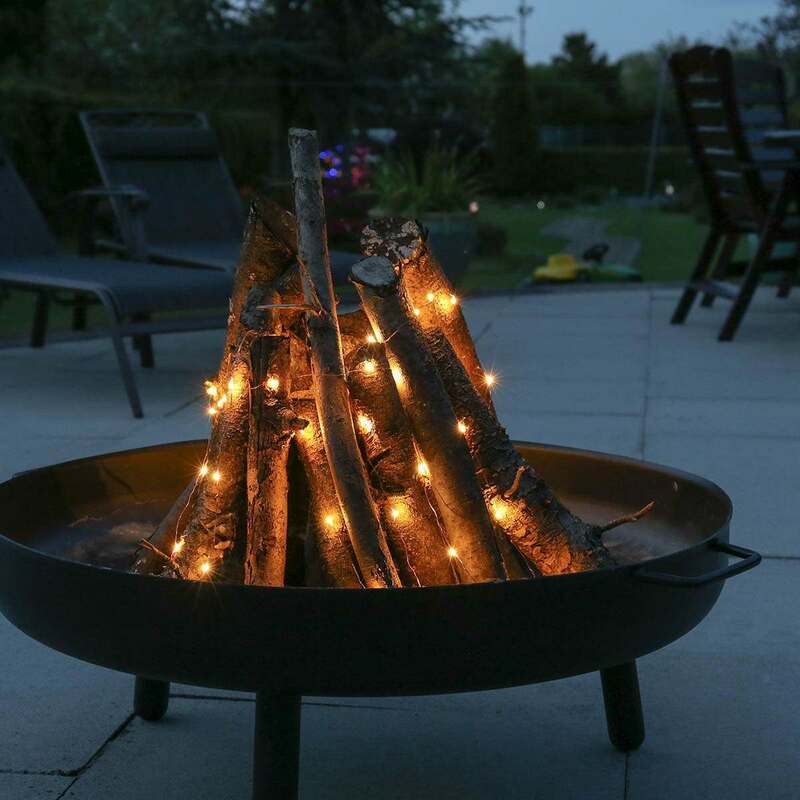 Following this idea, a ‘flamefless fire’ is always a winner! 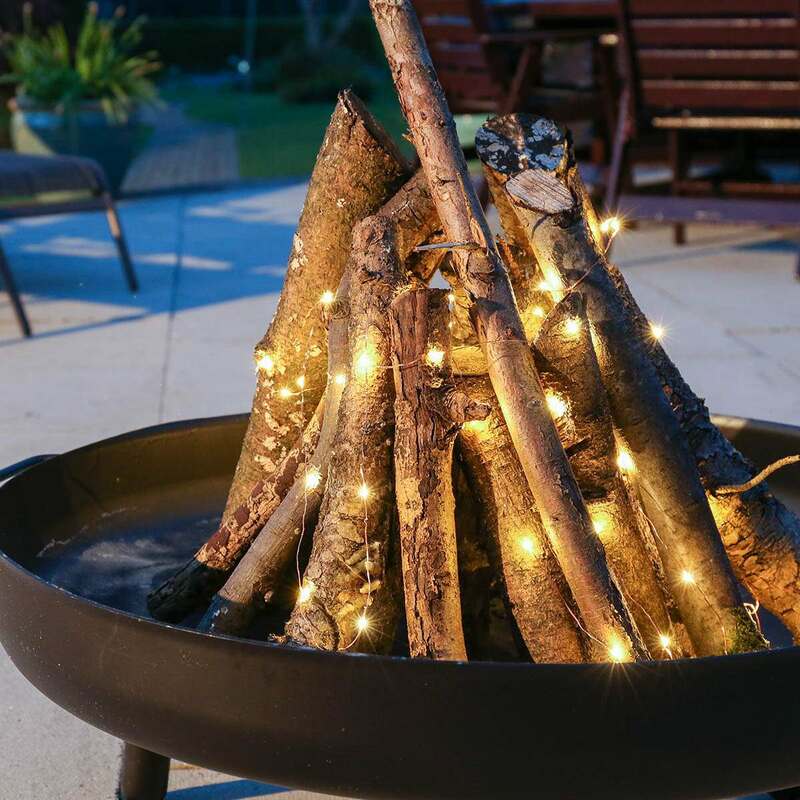 Using battery powered wire lights, wrap them around logs in a stack, or on a fire pit and put them on their twinkle setting. 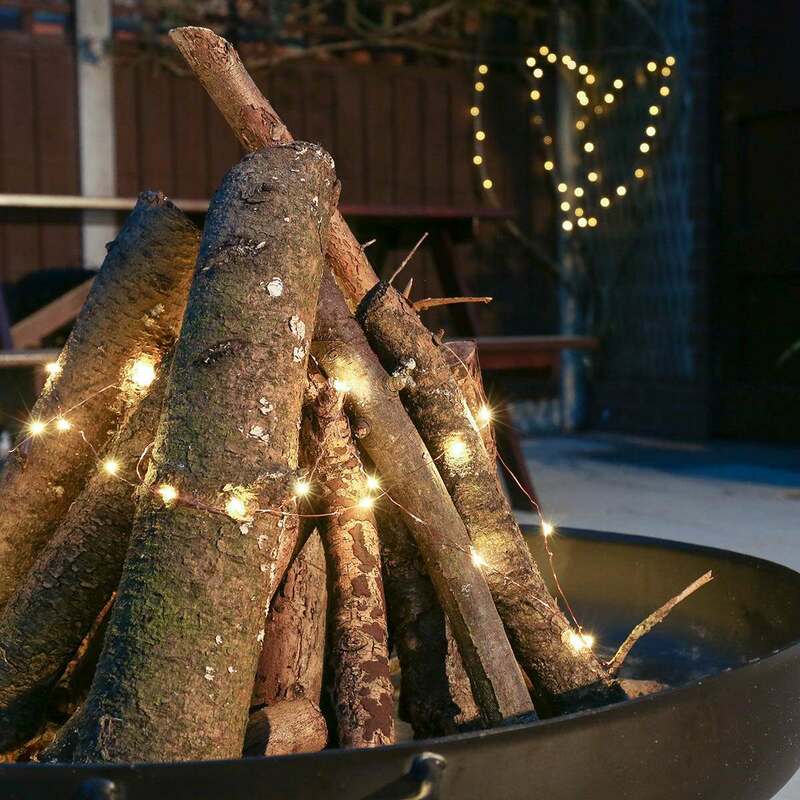 This creates the ambience of a glorious roaring camp fire, but with none of the worries about safety, especially around children, and ruining your garden with charred grass! 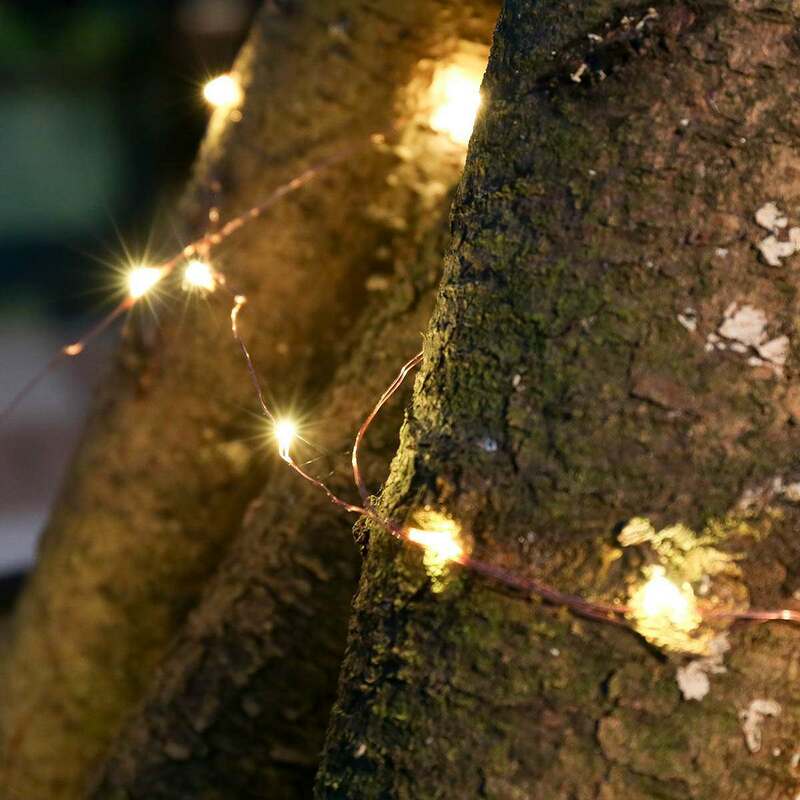 We hope this blog has inspired you, and if you have been on a ‘stay-cation’ of your own, then let us know in the comments section, and don’t forget to share your images on Twitter or tag us on Instagram, making sure you use the hashtag #myfestivelights, and we’ll share our favourites!